The headlines read, “Rome Under Attack: 27 dead, 30 injured in vehicle rampage attack against Catholic procession.” David Amadio, age 16, was an altar boy at the head of that procession, and as such he was recorded as victim number 3. Now, with his last rites behind him and one day after his death, he’s come back to set the wrong things right. Annis, also known as Hecatomb, prowls the snowy Northern wastes. Her only companion is a crow, sacred to the One-Eyed god (Odin), urging her on toward sworn retribution. Hecatomb has lived a life of violence, and now she marches on. When she reaches her destination, a tiny village ravaged by violence, the wrongs will be made right. This opening issue is titled Memento Mori; however that’s only one of two short stories being presented. 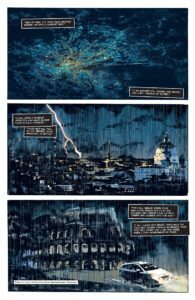 On the one hand, I didn’t really think that half of a thirty or so page comicbook would be enough to tell a story, even as a standalone. On the other hand, I’ve been very wrong before. 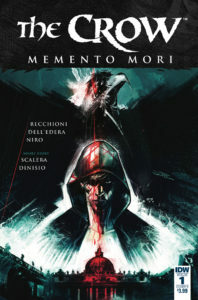 Memento Mori, by Roberto Recchioni & Werther Dell’Edera, is a tale of lost potential and a ruthless balancing of the scales as David Amadio, the latest incarnation of The Crow, tracks down his killers. Buried Virtue, by Matteo Scalera, has a more subtle approach as it follows Annis on her path to a vicious reckoning. Both stories, each taking a very different approach, handle the legacy of The Crow very well. True to the standards set by James O‘Barr all the way back in 1989, the writing by Recchioni and Scalera swings from thoughtful introspection to outright brutality without so much as a stutter. Both main characters are sure of their place in the world, and believe in the justness of their goals. 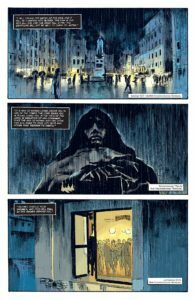 Equally outstanding, the art laid down by Dell’Edera & Scalera handles the shift from stillness to sudden action without ever losing track of the underlying tone and artistic quality behind the Crow. When The Crow first hit comicbook stores, it was a phenomenon. A contradiction within itself in both tone and style, the reader followed along on Eric Draven’s headlong path as he left a trail of bloody and broken bodies behind him. Draven’s ultimate goal wasn’t revenge, or even really “justice” as I saw it. In the end all the poor guy really wanted was to rest, to lie down and hopefully be reunited with Shelly. 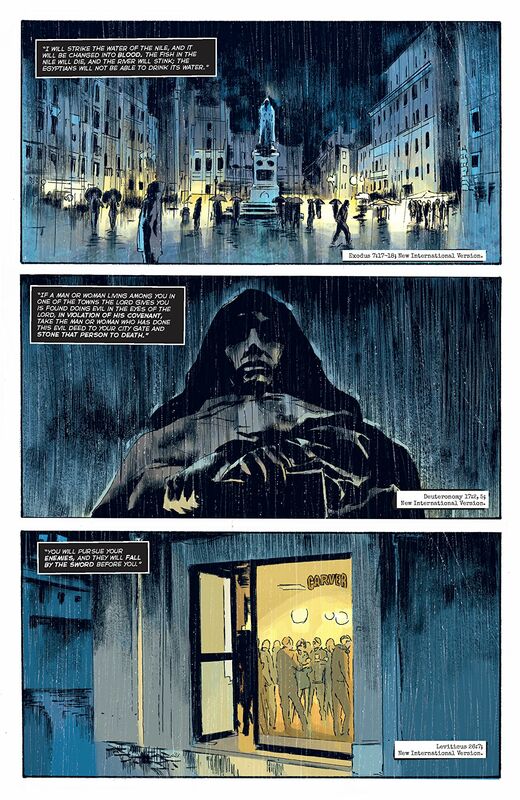 The sudden swings in the original story, from the retrospective and fun loving Eric, to the ruthless killer of anyone responsible for his loss- and anyone stupid enough to stand in his way- was marked by both the writing and the style of illustration O’Barr used at any given time. Much of the same can be said in this new addition to the enduring Crow universe. In Memento Mori, David comes across as a good kid, a believer in the Catholic faith, possessing a wry humor that might have shown a promising intellect. However, once the soliloquies are done and the bad guys have been found, it’s all crunching bones and spitting teeth as David’s rage and need for justice take over. 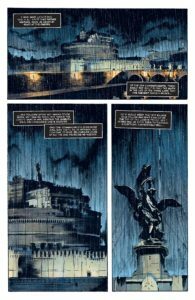 The Crow has been resurrected before- multiple times across the mediums of comics, movies, and television- and while those attempts have met with varied results, this entry seems to come the closest in my estimation. 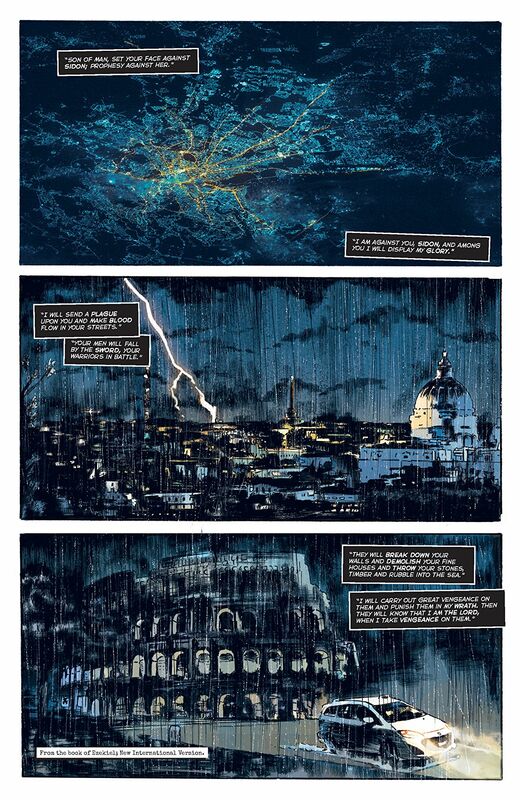 The abbreviated short story format takes nothing away from the impact the stories have, in my humble opinion. 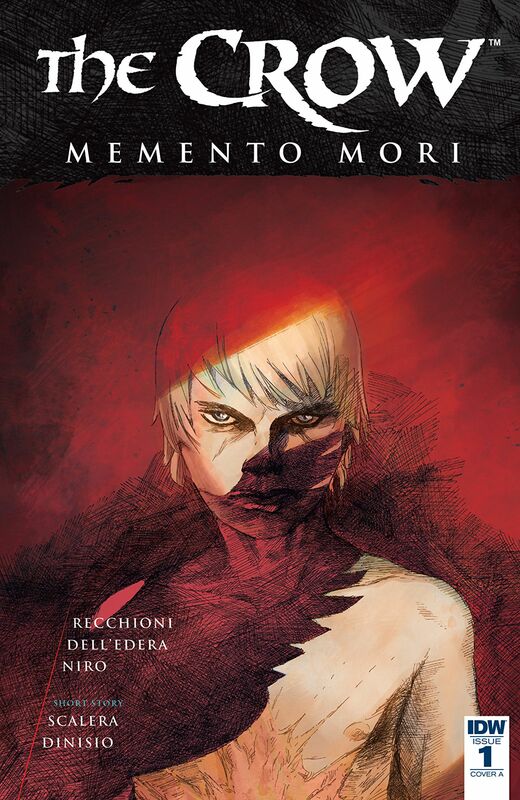 I’m hoping that fans of the original works will give Memento Mori a try. It’s an extremely ambitious attempt to put new life into a title that’s become legendary in the love its fans hold for it. Maybe… just maybe… it can erase some of the pain those fans felt while watching the movie sequels (I’m looking at you, City of Angels).